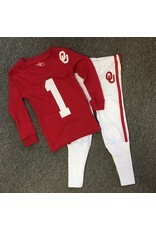 Make that dream play in this children's Oklahoma Football lounge set! Children will love being part of a winning team in this 2 piece pajama set that features all cotton fabric, a snug fit, and color-coordinated pieces. 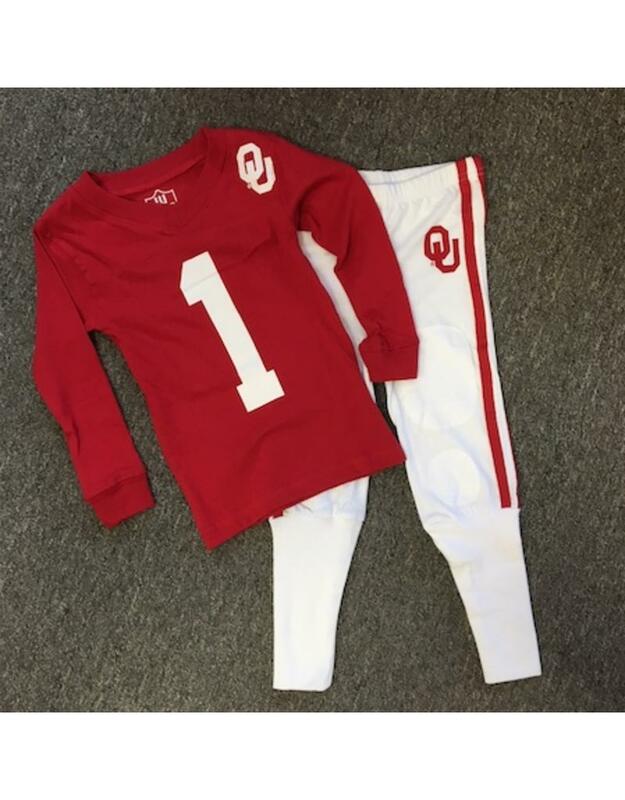 The long sleeve top features a v-neck with a white interlocking OU logo printed on the front, the pull-on pants feature a stretch waist with a crimson interlocking OU logo printed on the hip.